FULTON, NY – The Fulton Family YMCA’s annual “Loop around the Lake” is approaching. This race is comprised of a 15-kilometer run, a five-kilometer run, and a five-kilometer walk. These three races cater to every one of all levels of physical fitness. We offer three different races to help with encouraging everyone to participate. Our goal is to include people who have never run a road race before. The objective is to defeat the stigma that road races are just for competitive runners. 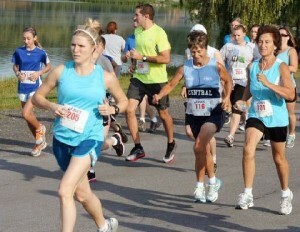 The Loop’s 15K/5K Run and 5K Walk, start at 8:30 a.m. at the Fulton War Memorial on August 24. The 15K loops around Lake Neatahwanta, offering some flat roads as well as some challenging hills. The 5K has a more scenic route, winding through local roads and neighborhoods. In addition to the road races, the YMCA will also be hosting a Kids’ Fun Run. The fun run is geared for children ages 4-12. The YMCA wants to make this event a fun day for the entire family to enjoy. Our current sponsors are as follows; MetLife (Dave Mirabito), Pathfinder Bank, B & T Sports, Tim Hortons, Arby’s, Eagle Beverage and Frito Lay. Keep up to date with current information about the race and all Fulton YMCA programs by viewing our Fulton Family YMCA Facebook page.